The goblin horde ceased its attack as soon as you put on the Goblinoid Trophy Mask, evidence that their leader had fallen. The ghastly creatures retreated deep into the mountains, allowing the villagers to enjoy a newfound peace. 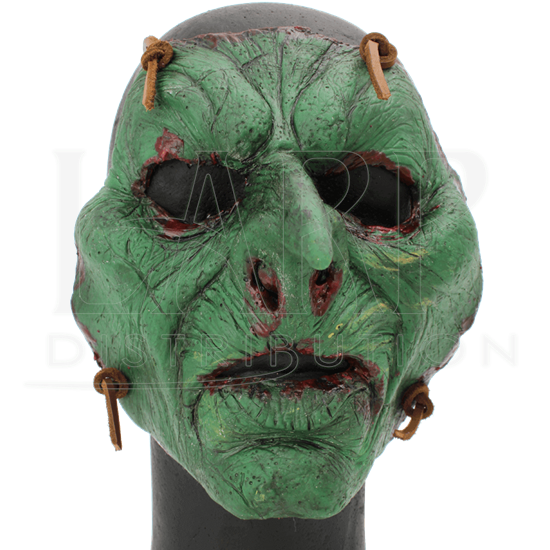 Crafted from a natural, high-quality latex, this mask possesses realistic features. 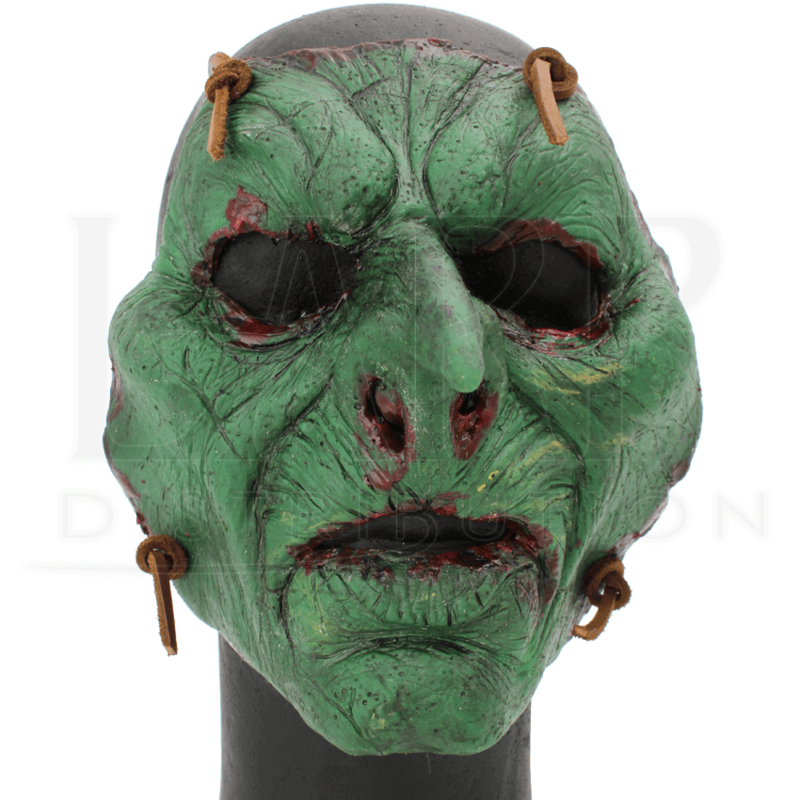 Wrinkled green skin and a pointed nose mark it as a member of the goblin race. Dried blood lines the openings for the eyes, nostrils, and mouth. Knotted leather cords secure the trophy mask to your face. The Goblinoid Trophy Mask bespeaks doom to any foolish enough to face you in battle.